It seems a long time since I added any photos to my other site, maybe now that winter is approaching & there are less jobs to be done in the garden I might make some progress on a backlog of updates. The Boat Train from Glasgow runs via Coventry & Leamington, my pass will get me to Coventry for free – so that is where I went!! After seeing that train it was straight back to Cradley Heath to wait for the Class 50 & 52 returning to Kidderminster & the Severn Valley Railway, the “Western” diesel having had its tyres turned at Tyseley. An unusual angle for this shot. Also worth mentioning that this was the first service train for 47828 under DRS ownership & looking very smart in the blue livery. 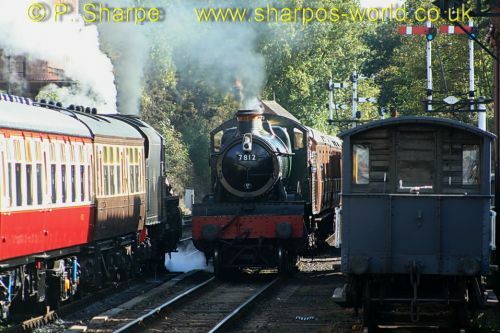 This entry was posted in Sharpo's World Photo Updates on October 26, 2011 by Sharpo. Managed all 3 trains with the locos facing the right way during a lunchtime visit. After using the 300mm zoom lens on Sunday to photograph an aeroplane, I decided to use it again today and take some more distant shots than usual at Bewdley station – just adds some variety to the “usual” locations. Updated 2 galleries last night and the main gallery tonight. Perhaps now I can start sorting & uploading more photos. This entry was posted in Photo Galleries on October 25, 2011 by Sharpo. A new version was released a few weeks ago & I have started updating my galleries to this version. I don’t think there is any noticeable difference, just security upgrades. It’s not really too difficult to do, but I am always wary when I start deleting hundreds of files – just in case I do something wrong. At least I backup all the important files & database first. This entry was posted in Photo Galleries on October 23, 2011 by Sharpo. After being taken to Tyseley for wheel turning on Tuesday, D1062 was hauled back to Kidderminster & the Severn Valley Railway today. I went to Cradley again to see them pass through. 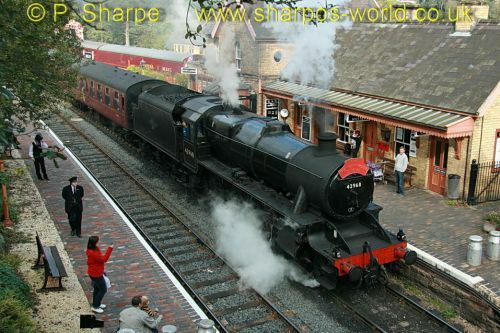 This entry was posted in Sharpo's World Photo Updates on October 21, 2011 by Sharpo. The only photos I took today were of this train, as all the steamers were facing the wrong way! Couldn’t resist it when I saw the headboard. 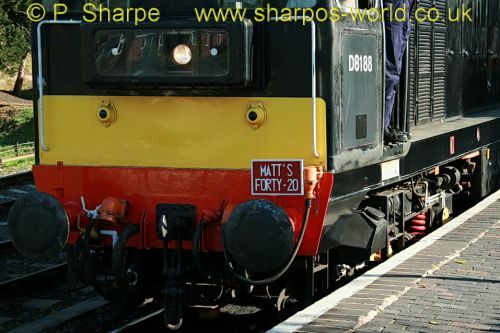 This entry was posted in Sharpo's World Photo Updates on October 20, 2011 by Sharpo. The 4 locos are seen in action during our visit. 42968 was on a “SMF The Mighty Mogul Special”. At Bewdley, M51941 was fresh out of Bewdley C&W works, looking very smart. 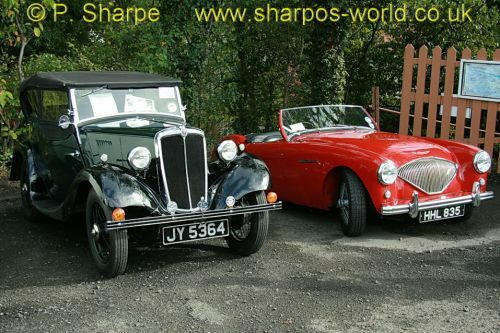 This entry was posted in Sharpo's World Photo Updates on October 18, 2011 by Sharpo. 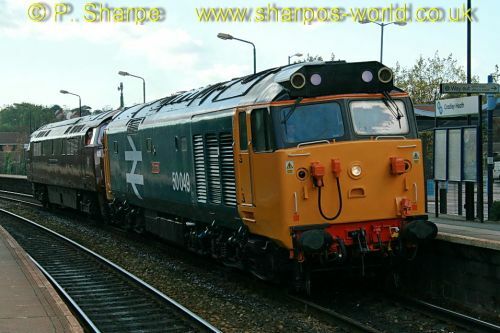 50049 was used to haul D1062 from Kidderminster to Tyseley for the wheels to be turned. They are seen passing through Cradley Heath earlier today. After recently updating the BIOS to correct the problem with the flat battery not charging, I decided to try and work out how install a later version of Firefox – as it was running version 2. I know nothing about the Linux operating system, but the instructions I followed made it quite easy to do, and it is now running Firefox 7.0.1. This entry was posted in Computers on October 18, 2011 by Sharpo. It’s a handy little netbook, but hadn’t been used during the summer. When I switched it on yesterday – nothing happened. Battery must be flat, I thought, so plugged in the mains lead & it worked. After using it for a while, I unplugged the lead & the netbook went dead. Plugged the lead back in and restarted it, then checked on the state of the battery – it was supposedly 100% charged. A few searches suggested the BIOS needed updating. There were other suggestions such as removing the battery, holding power on button down for 2 minutes etc. etc. but they didn’t work. So it looked like updating the BIOS. There is a page on the Acer Support site explaining what to do – and it fixed the problem, the battery is now charging again. For anybody else with the same problem, follow the instructions on the above link. This entry was posted in Computers on October 16, 2011 by Sharpo. Some more photos of the vehicles on display at the Severn Valley Railway Classic Car event, these are the ones seen at Bridgnorth. If any of the details are incorrect, just let me know – my knowledge of cars isn’t too good. 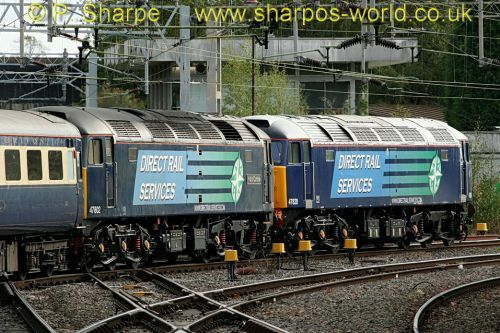 This entry was posted in Sharpo's World Photo Updates on October 14, 2011 by Sharpo. I’m slowly adding photos of the vehicles on display at the Severn Valley Railway Classic Car event. They will be uploaded into one album, but can also be displayed according to which station they were at. The first photos to be added are from Bewdley station, my last stop of the day before heading for Kidderminster and home. 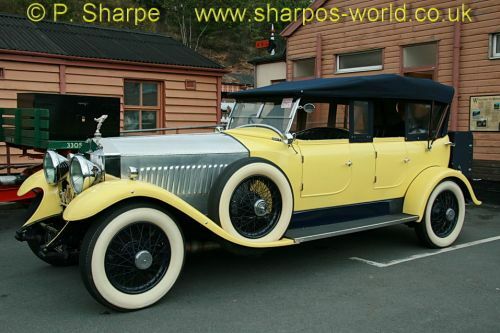 This entry was posted in Sharpo's World Photo Updates on October 12, 2011 by Sharpo.